She became Senior Registrar at the Centre Hospitalier Universitaire Vaudois (CHUV) in Lausanne, in the Department of Professor Pierre Schnyder for 4 years. After perfecting her skills in senology at the Institut Curie in Paris, she returned to Geneva where she joined the Imagerive team in February 2007. 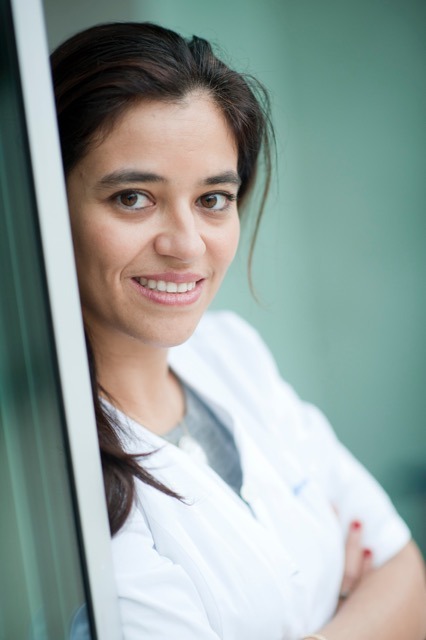 Since moving to Geneva, Dr. Martina Martins Favre has worked with Dr. Bernard Ody and benefits from practical and high quality daily guidance in radio-urology. In parallel, she obtained a university degree in Urogenital Radiology in Paris, in the Department of Professor François Cornud. In order to set up a second opinion system, she has also established connections with the Centre Universitaire de Lille and the Department of Uroradiology at the Klinik Hirslanden in Zurich. Since 2010, she has been particularly interested in imaging of the prostate. Dr. Martina Martins Favre has authored numerous articles and publications in Swiss and international scientific journals, such as European Radiology. She is a member of the Federation of Swiss Doctors (Féderation de Médecins Suisses FMH), the Swiss Society of Radiology (Societé Suisse de Radiologie , SSR) and the Regional Council of Medicine in Brazil (Conselho Regional de Medicina).